South officials say it is too early to tell the cause of this collapse and they are not jumping to conclusions. 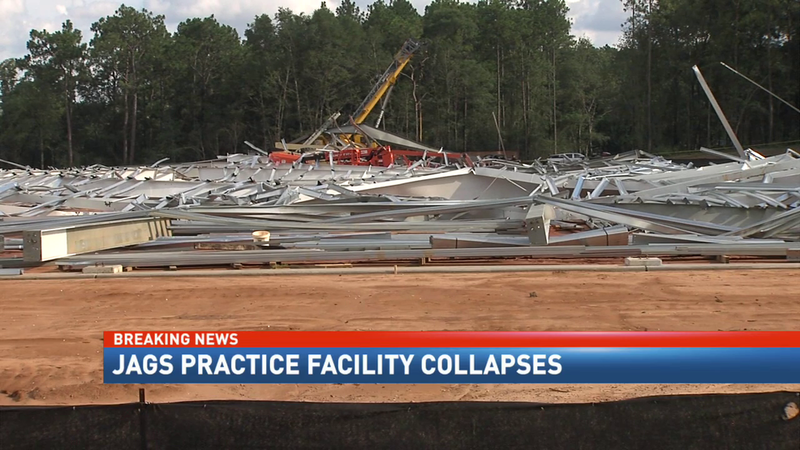 A devastating blow to the University of South Alabama and to the football program today when the indoor facility collapsed during construction. The $8 million covered practice facility was set to open this November. Spokesperson Bob Lowry says that the building feel around 2:15 PM, no construction workers were on site. "The hope was that the football team, because their season begins in just a few weeks would be able to use it before the season ended. Obviously those plans have changed." Lowry said. The next step in this dilemma is passing the scene to investigators to determine what happened. Lowry says that there are several different construction companies that were collaborating to complete the structure. "We are a resilient university and we are going to find out what happened and we are just going to come back and try again." South Alabama Athletics Director, Dr. Joel Erdmann said that he wishes this didn't happen. "But we will make the best of the situation and move forward."